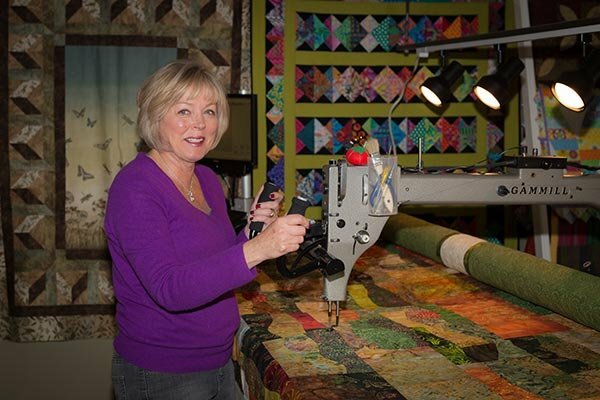 Peggy quilts on a Gammill Optimum with a Statler Stitcher on a 12 foot table. Thousands of designs are available to choose from. Designs range from novelty, kids, allover designs, block designs, etc. You will be able to preview designs on the computer before deciding on the type of quilting that is correct for your quilt top.